Kurt Weill could be considered one of the first great eclectic musicians of the 20th century. He did it all-from twelve tone Schoenbergian music to Broadway; from “Mac the Knife” to operas; from Brecht to Lotte Lenya; he was as prolific and contemporary as anyone. This is even more remarkable if you take into account the dramatic period of history and upheavals he experienced as a German and then an expatriate in the U.S. through the first half of the 20th century. 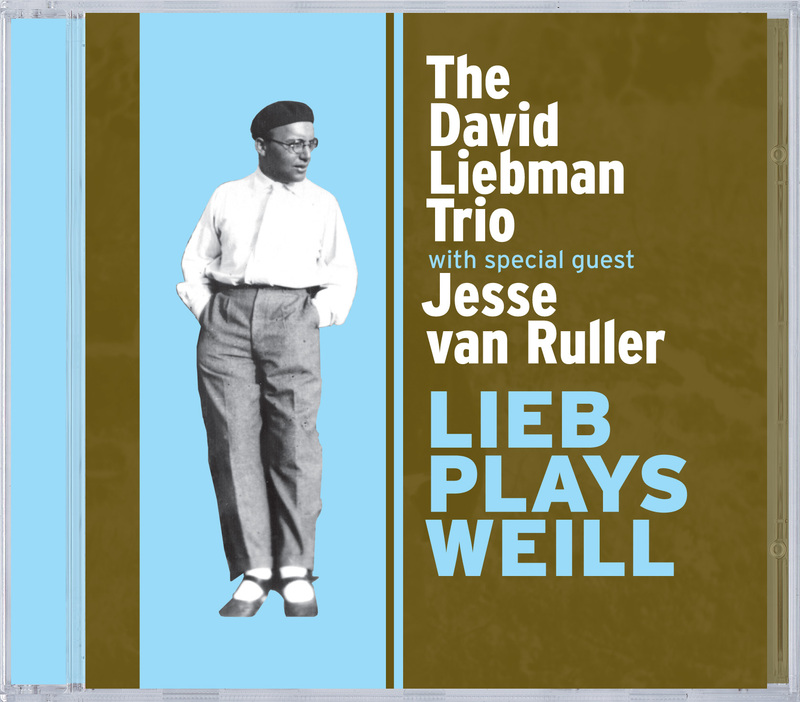 Needless to say Eric Ineke and Marius Beets love to swing out and as well are completely adaptable to any of the many stylistic turns Liebman likes to take. They know the roots and are great interpreters of any written page. Special guest Jesse van Ruller, a first place award winner in the Thelonious Monk Competition, plays wonderful.